Region Home Buyers Testimonials - You can be next! It’s important to us that the homeowners we work with have a great experience with us. In the end, we’re not happy if we’re not able to provide you with the solution you want. We strive to go above and beyond when it comes to helping you and we like to think that’s why people choose to work with us so often. So, check out what others have said about us. Here are just a few snippets of what other people we’ve worked with have said. Feel free to check out our reviews on Facebook and our A+ BBB Rating! Never thought I’d go this route but after my experience, I’m glad I did it. Justin at Region Home Buyers made it so easy. There was so much, it seemed overwhelming but they made it a breeze. Thank you very much!! Everyone was very helpful. Super fast and easy. No stress or problems. Region Home Buyers purchased our vacant condo and made the process quick and painless. We showed them the property, received a cash offer that day, and closed in less than 2 weeks. They gave us a very fair price, especially considering the amount of work the condo needed. There were no hidden charges – they paid all title fees, etc., so the cash offer is truly what we received. They were extremely honest and very responsive to any questions we had during the process. Justin is awesome and we would definitely work with him and his team again! Justin was awesome! I can’t say the process was easy because he bought my house in the middle of repairs, but he stuck with me and with the process. He made the process as easy for me as possible. He and his team were great people to work with. Justin and Region Home Buyers were honest, fair and professional while we were dealing with the sale of are parents house. Justin was kind and honest with us. We wish we didn’t lose as much money as we did but understand that region home buyers are a business and they need to also make money. I feel we sold to an honest home buyer that did the best he could for us. Thank you so much for your time and help you truly cared about us and we felt very comfortable with your company. Our entire process was quick and easy. Justin and his team were professional and knew what they were doing. Can not say how pleased we are. Thank you! Region Home Buyers are the best, helped me out so much. Everyone was always there if I had any questions and replied quickly. Great company, love these guys! Took care of everything and great to work with! Justin made sure the transaction went smoothly from the offer to the closing—which was a total of two weeks! I will definitely recommend him to friends and family. The team at Region Home Buyers is legit. I had a situation where I needed to sell a house I owned in a different state and fast. Justin and his team came through for me. They offered me what I would call a fair price considering my situation. Once we (I) had a situation figured out we closed in week and he was very professional. I would highly recommend. From the moment I responded to a letter I received from Justin, I was more than satisfied with how professional Justin was and how easy he made the entire process for me. I highly recommend Region Home Buyers. I had an entirely positive experience selling my deceased mother’s house to Justin. Both Justin and the lawyer involved in the sale were very professional and excellent communicators. They patiently answered my questions and were always easy to reach. The sales process went very smoothly. Great company to work with , very professional and got the job done ! Justin was fantastic ! Would highly recommend them to anyone wanting to sell their house ! Justin is as honest and efficient as they come. He offered a fair price given the condition of the property and closed within two weeks at no cost to me. This was all done even though I live 300 miles north of Hammond and was not able to attend the closing. Money in the bank the same day. My father-in-law built this home himself in 1949 and I am sure it’s in good hands. Region Home Buyers made selling my parents home very easy and pleasant. Anytime I had any questions I would text or email them and was answered immediately. My sister lives out of town and they handled all the paperwork without any problems and very efficiently. I would highly recommend Region Home Buyers and I would use them again. I have worked with RHB a number of times in the last couple of years painting their vacant homes. They are a pleasure to work with. Professional, tentative, and honest. Great staff! They are very professional and great company to work with I would recommend them to anyone. Definitely a five star rating for this company!! 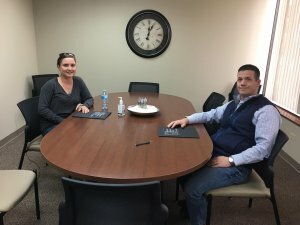 Region Home Buyers LLC provided an invaluable service during a difficult time following a family death, Justin S in particular was both professional and empathetic. I would gladly recommend their service to anyone trying to sell a home under challenging circumstances. I would recommend the Company to anyone looking for professionalism and a good experience while selling or purchasing a home. So easy …. Justin was a true professional. Returned phone calls promptly, showed up on time for meetings and walk-thrus, did everything he promised. Gave us peace of mind during a difficult transition. 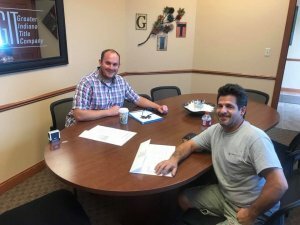 Never thought I’d go this route but after my experience I’m Glad I did it , Justin at region home buyers made it so easy , there was to much it seemed overwhelming but they made it a breeze , thank you very much !! Didn’t expect to go this route,however with a distressed property (relatives not wanting to move) it was the best decision for me and my mental health! Everything went fast and smooth,I’m glad I went this route,thanks Justin!! Couldn’t have been smoother! At the last minute we needed a few more days to hand over keys and Region Home Buyers couldn’t have been more understanding. A very good experience. Thanks for all your help. I am currently renting a condo in Munster and I absolutely love the place and the landlord. I had a problem with the AC and it was fixed the next day. Great Company! Super fast & Everyone was very helpful. Adrien is excellent from start to close. What seem to be a VERY stressful situation with 2 houses seem so smooth. Quick to respond, Easy to work with, and EXCELLENT Communication. Thanks again guys! Everyone was very helpful. Super fast and easy! No stress or problems. I sold my moms house in Cedar Lake to Justin everything went so smooth it was scary, I live in Virginia and all was done when I got up there the closing went so fast. Justin and his company are fantastic to work with. Had the Pleasure of selling my home to Justin, such a great guy! Made everything go nice and smooth in such a short time! Great company!! Adrien is a excellent person to deal with, if he likes the home he sets up closing and your done. Good deal. So I received a phone call from Adrien. He wanted to buy my grandmas house in Munster. No one had been living in the house for many years. My grandma had not taken care of the house so it was in very poor condition. It had mold!!! My grandma had been a hoarder when she lived there and a lot of the stuff she hoarded was still inside the house and garage. Long story short, Adrien was awesome! My grandma wasn’t exactly ready to sell the house but Adrien was persistant yet patient with the situation. He was very understanding and compromising. My grandma trusted Adrien, which says a lot because she had an attachment to this house. My sister and I both felt the same about Adrien. We made a good choice to sell grandmas house to him. Justin was very communicative and moved the process along as quickly as possible. We were under a short deadline, so his attention to the matter and efficiency was greatly appreciated. Adrien knows the area and always comes through. Trust him to always come through and do what he says he’ll do. Sell with confidence.